John McCarthy meets the Kurds of Iraq, the one stable community in a nation broken into warring fragments. How did they achieve their unique status and can they maintain it? John McCarthy meets the Kurds of northern Iraq, a unique island of stability in a nation broken into warring fragments. He asks how a people who have been victims of abuse and atrocity for generations managed to transform their fortunes so dramatically. How did they recently gain the confidence to calmly take over the disputed city of Kirkuk and claim it as their own? And how can they avoid being sucked once more into a maelstrom of violence? A rich cast of contributors includes Siyamand Banaa, a diplomat and former peshmerga freedom fighter; Narin Bahat who has committed her life to the cause of disadvantaged women; Yaccoub Sulleyman who, as a child, watched his parents being forced to demolish the family home; and Helly Luv, who has returned from exile to rap her way to stardom in pop music and film. 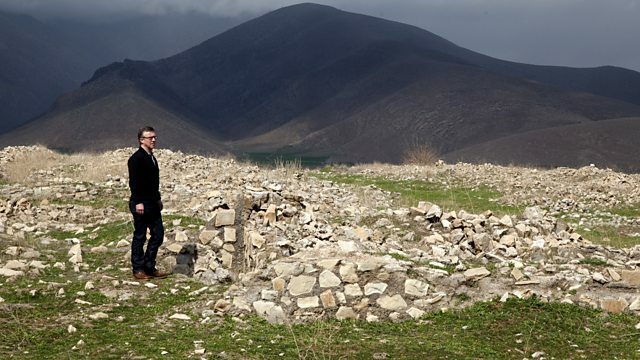 John starts his journey in the mountains that Kurds believe have shaped their destiny, by offering them protection from the greater powers that have sought to dominate them. He visits the fast-expanding regional capital Erbil, which some people call the new Dubai thanks to its access oil wealth and smart deals. He moves to the cultural capital Sulaymaniah, where he encounters the political tensions that lie just below the surface. John discovers that internal conflicts, a political system weakened by the abuses of patronage and corruption and the inherent dangers of unpredictable forces mean that Iraqi Kurdistan's good fortune remains vulnerable. It continues to be in a state of uncertainty. A Whistledown production for Radio 4.